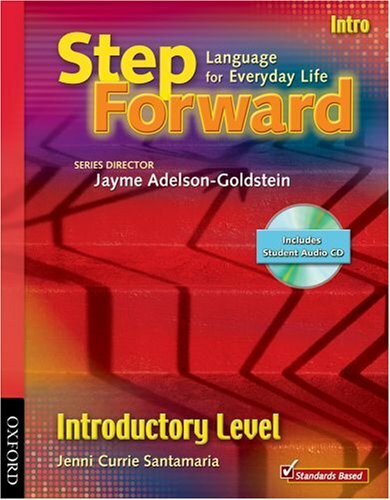 Step Forward is the best-selling standards-based, four-skills course that improves student outcomes by integrating language instruction into real-life contexts. Designed to build workplace skills, the vocabulary in Step Forward is based on the vocabulary of the Oxford Picture Dictionary providing easy supplementing and a rich, integrated instructional experience. A consistent unit sequence includes vocabulary, life stories, grammar, everyday conversation and real-life reading, carefully developing learners' skills, while a transparent lesson structure makes the text accessible to learners, minimizing preparation time. Varied instructional strategies and clear identi?cation of objectives contribute to learner persistence and a variety of assessment tools allow teachers and learners to monitor progress.